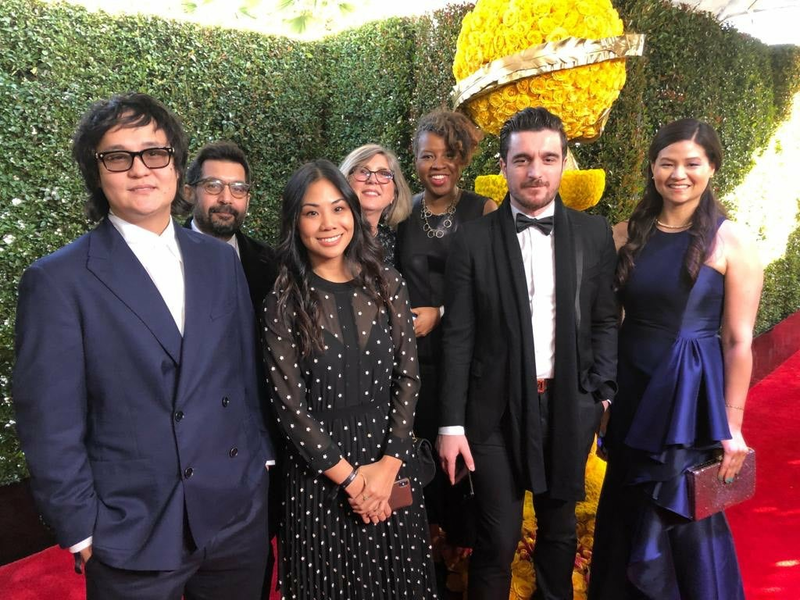 Residency Fellows at the 2019 Golden Globes: (L to R) Emir Baigazin, Mahmut F. Coskun, Georgia Fu, Maria Bozzi, Avril Z. Speaks, Rati Tsiteladze, Cynthia Kao. Among the glitter and glamour of the red carpet, they were a discreet presence but the five young filmmakers nevertheless embodied an important part of what the Golden Globes – and the HFPA – are about: a celebration of storytelling as global art form and universal language. We are talking about the five fellows of the first ever HFPA Residency who attended the HFPA Golden Globe Viewing party as our guests this year. Americans Georgia Fu and Cynthia Kao walked the carpet with Rati Tsiteladze (from Georgia), Emir Baigazin (Kazakhstan) and Mahmut Coskun (Turkey). The latter two won prizes for their films (The River and Anons, respectively) at last year’s Venice Festival. Georgia, Cynthia, and Rati were selected to participate by a jury of HFPA journalists who screened short films by participants in TIFF’s Filmmaker Lab program. From January 2 to 23 they are attending master classes and workshops on filmmaking and distribution, intensives on financing and screenings. They are paired with individual mentors who are respected filmmakers, to help hone their skills. Baigazin and Coskun each hosted screenings of their features in Film Independent’s new screening room. Film Independent designed and manages the program which was commissioned by and is fully funded by the HFPA. The residency is free of cost to fellows. 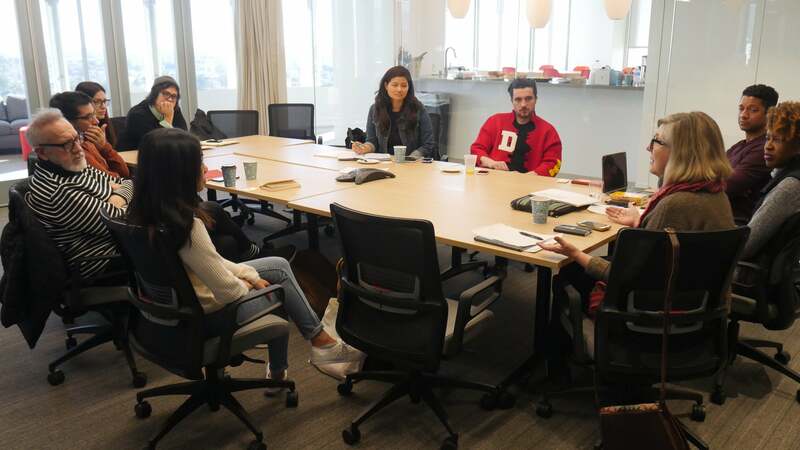 HFPA President Meher Ttatna welcomed Residency Fellows to Los Angeles, January 3 2019. The nonprofit film arts organization produces the Spirit Awards and until recently organized the LA Film Festival. 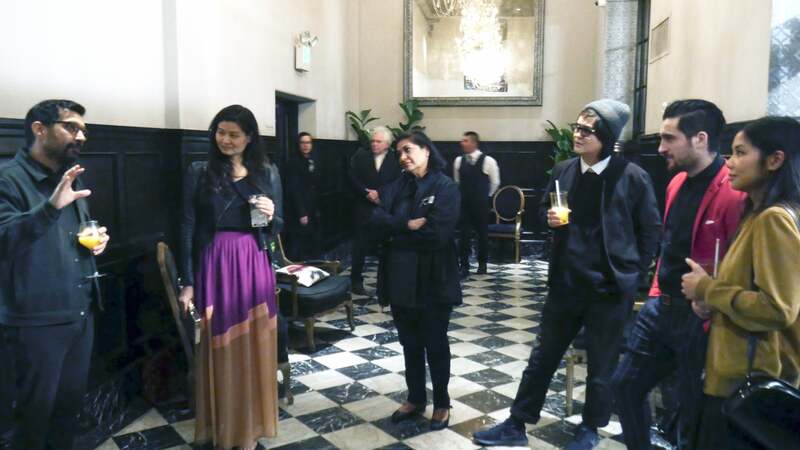 The program is coordinated for Film Independent by Avril Speaks and Maria Bozzi. The organization champions creative independence in visual storytelling and supports a community of artists who embody diversity, innovation, and uniqueness of vision. "As Film Independent continues to expand its support of filmmakers working internationally, we can't imagine a better partner than the Hollywood Foreign Press Association," said Film Independent President Josh Welsh. "We look forward to (introducing) the talented filmmakers from the Venice and Toronto film festivals (…) to the film community of Los Angeles." The schedule is intense and will include encounters Florian Von Donnesmarck, director of Golden Globe-nominated Never Look Away, among others. Alberto Barbera, artistic director of Venice Festival, in town for screenings, is scheduled to stop by for a luncheon and a chat with the Orizzonti ‘alums.’ Paolo Baratta, president of the Biennale di Venezia (parent organization of the festival) stated: “Among the things we like most is helping new talents. Each institution, whether private or public, can contribute with acts of generosity". Maria Bozzi conducts the orientation session at Film Independent headquarters. That is the principal idea of the residency program, to make connections: between young filmmakers and mentors, foreign authors and Hollywood and between all aspects of storytelling – art, business, and festivals from different continents.